After making me a stole for my Christmas present, my mom decided to venture into the stole making business. Personally, I think she has a calling as a liturgical garment maker. Update: These sold long ago and my mom is on a bit of hiatus from her stole making business but I didn’t want to take these beautiful pictures down. 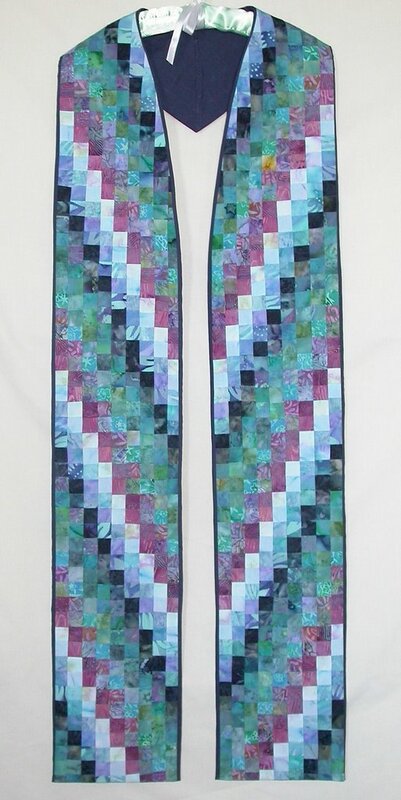 These beauties will be on sale at the UFETA book for $250 each during GA. You can come by and buy them (some of the proceeds benefit UFETA) or just look at them and wish that your mom could make you these sorts of stoles. I am half-tempted to encourage you to not buy them, then I can wear them and they can be sample pieces. 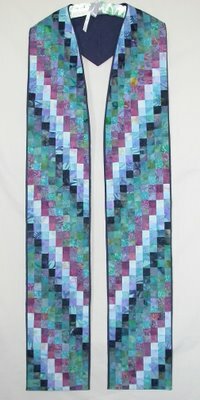 She also makes custom stoles and cheap easy beautiful yet simple stoles for those on a lower budget, like, um, seminarians. Enjoy! This entry was posted on Friday, June 16th, 2006 at 4:20 am and is filed under pictures, stoles. You can follow any responses to this entry through the RSS 2.0 feed. You can leave a response, or trackback from your own site. 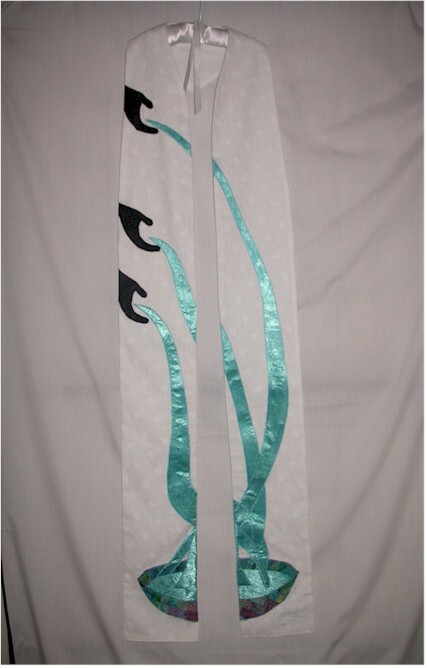 That water communion stole is gorgeous. I’m always curious to see how artists shape the neckline on stoles, because so many of them fit so badly. These look like they have a very nice line – particularly the one with many many pieces.